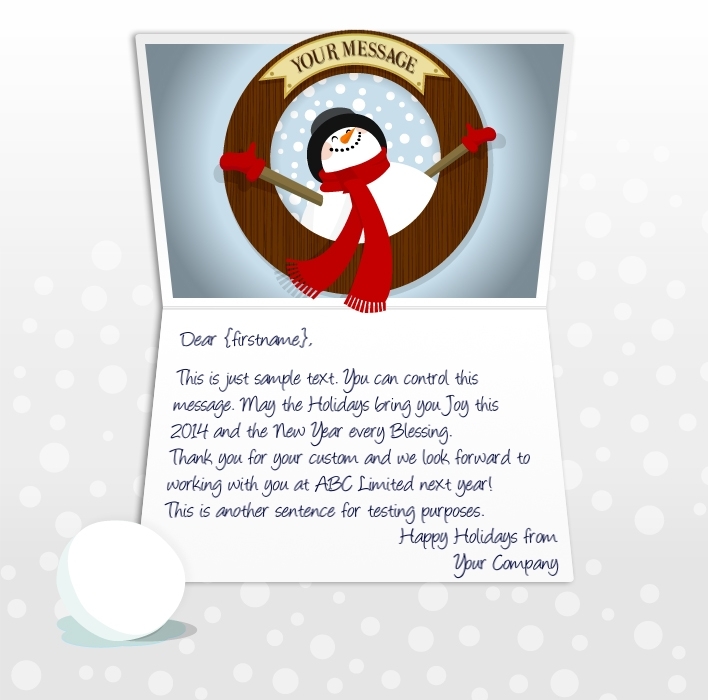 ekarda makes it radically easy to create and send holiday eCards for business. 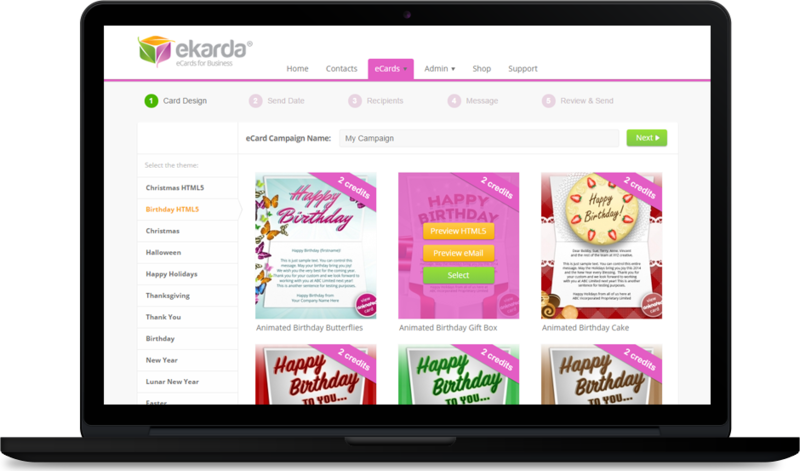 ekarda is an eCard platform designed specifically for business. 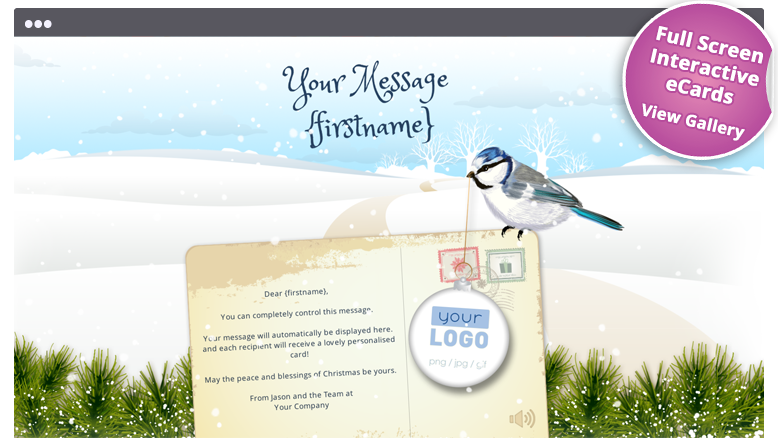 Select a design, add your company logo and Happy Holidays message and dispatch fully personalised eCards from one easy-to-use desktop. 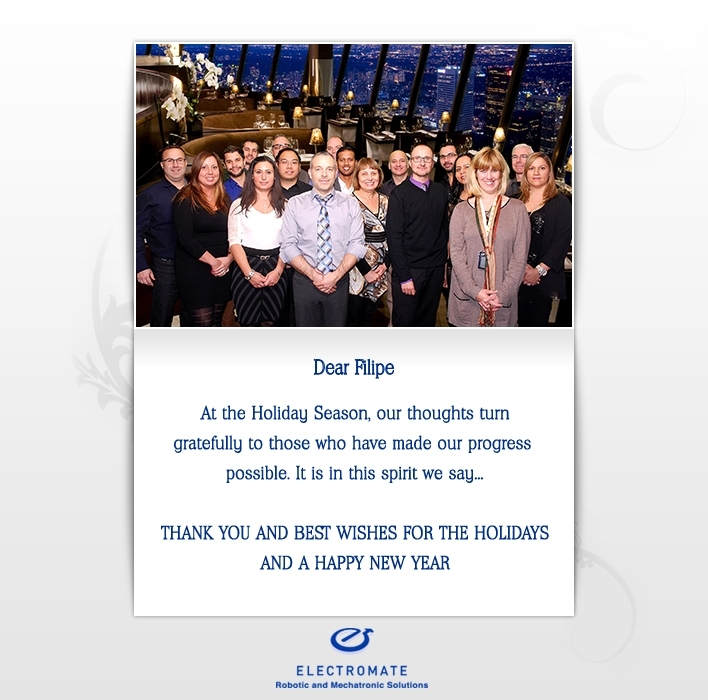 Empower your staff to send eCards too! 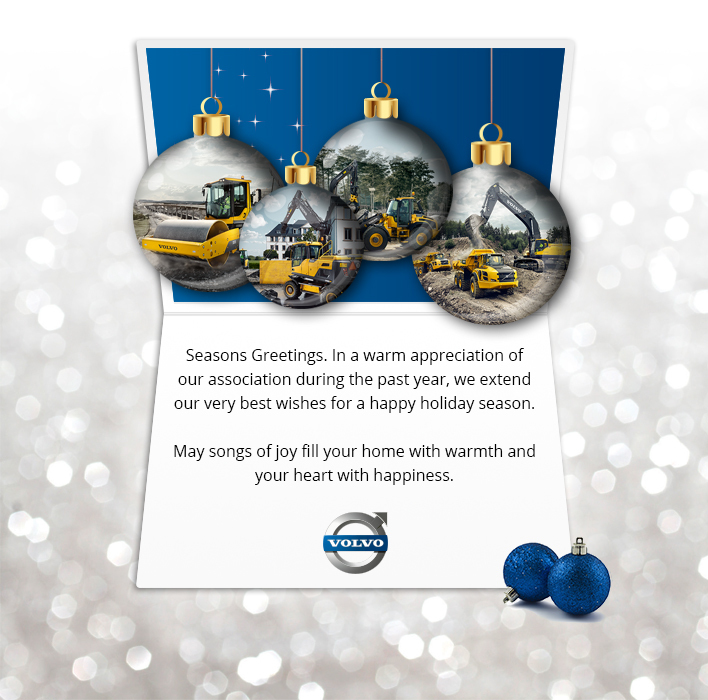 Upload one or more of your business logos into a Happy Holidays eCard selected from ekarda’s extensive gallery or order a custom card. 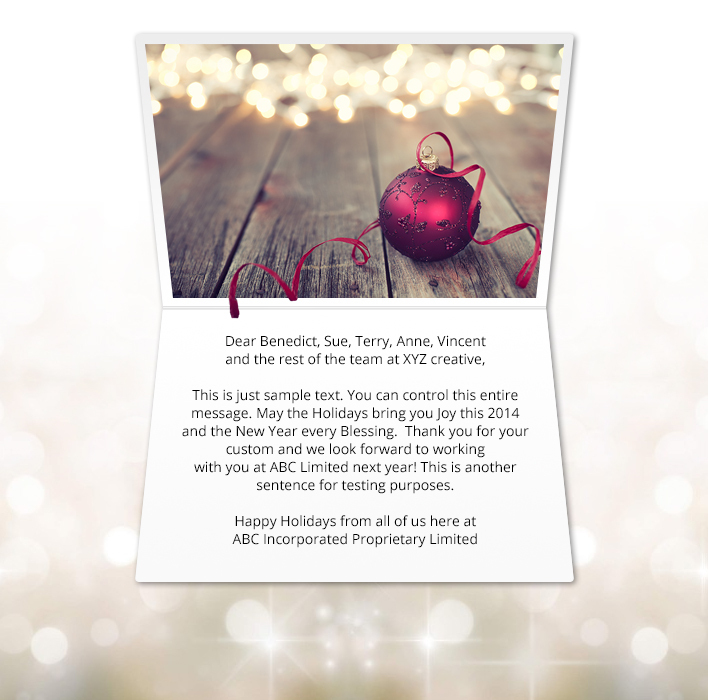 Authorise any number of designated office staff members to send Holiday eCards using the logos and card designs you decide on. 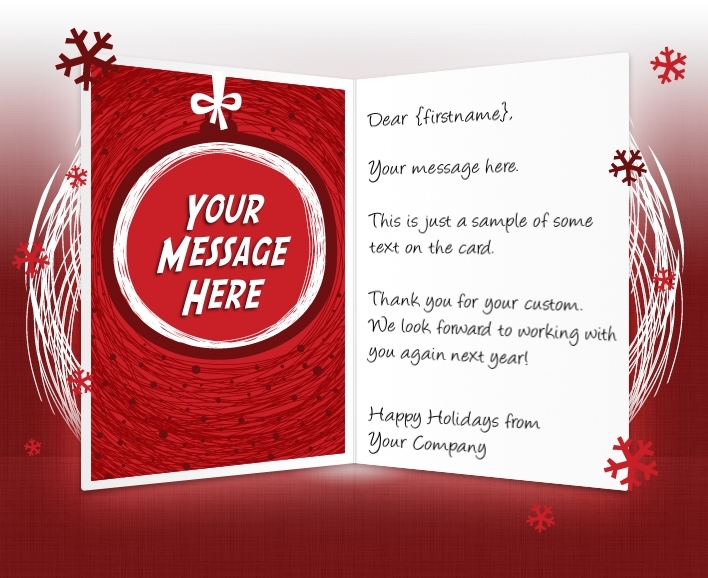 Plant your brand in powerful social media by adding links to your Happy Holidays eCards so recipients can share them easily with their own contacts. Your card could go viral! 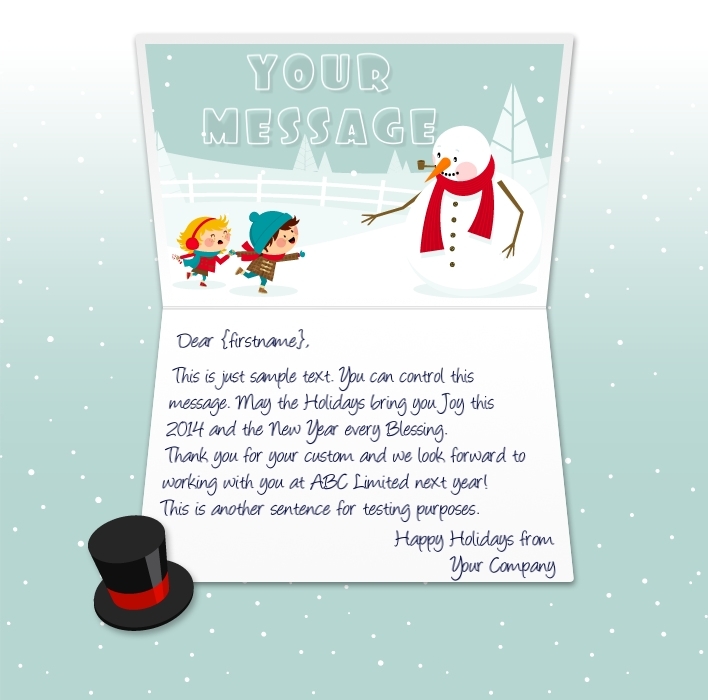 Assess the success of your Happy Holidays eCards via our in-depth reports showing bounces and opens for each sender. 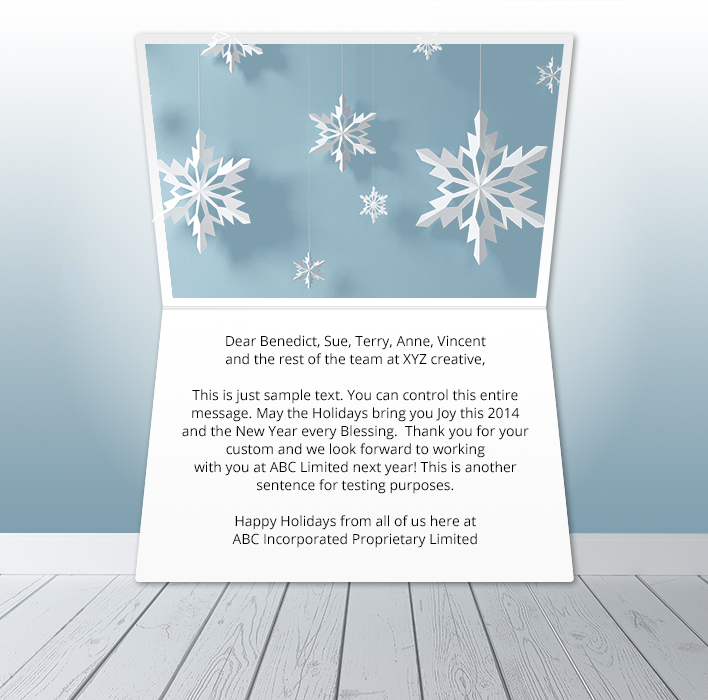 Animated Flash eCards fail to display on smartphones or tablets, but ekarda eCards work on all devices. 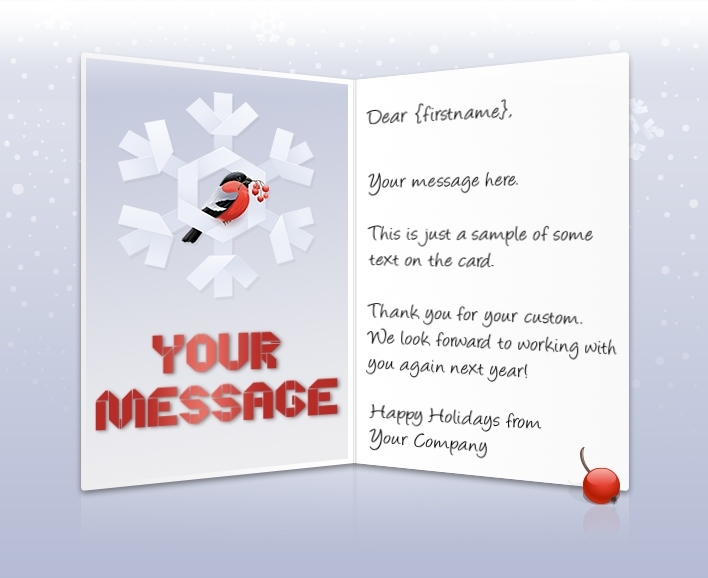 Whether your contacts view their cards at the office or on the go, you know your Holiday eCards will display perfectly on all business devices! ekarda has all the tools for a business to build rapport and enhance relationships. 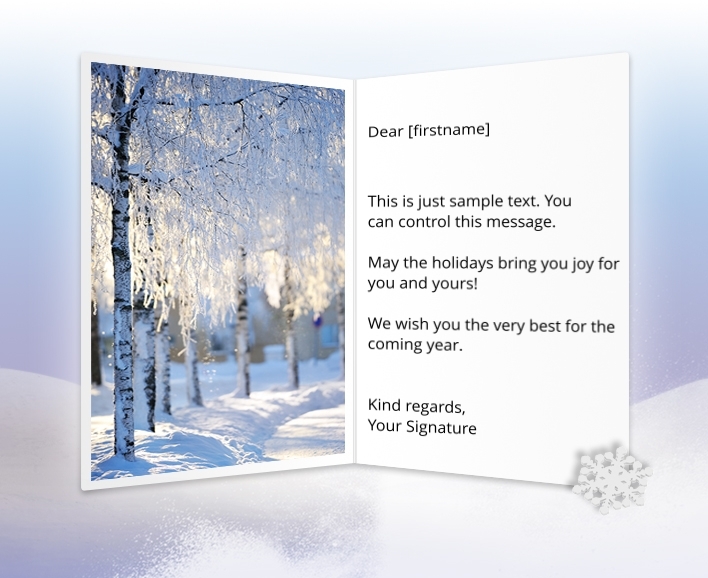 Whether sending a animated Happy Holidays card to 10,000 customers or a one-off Holiday card – each eCard you send is uniquely personalised with the recipient’s name and your message. Need to send using Outlook or your own email software? 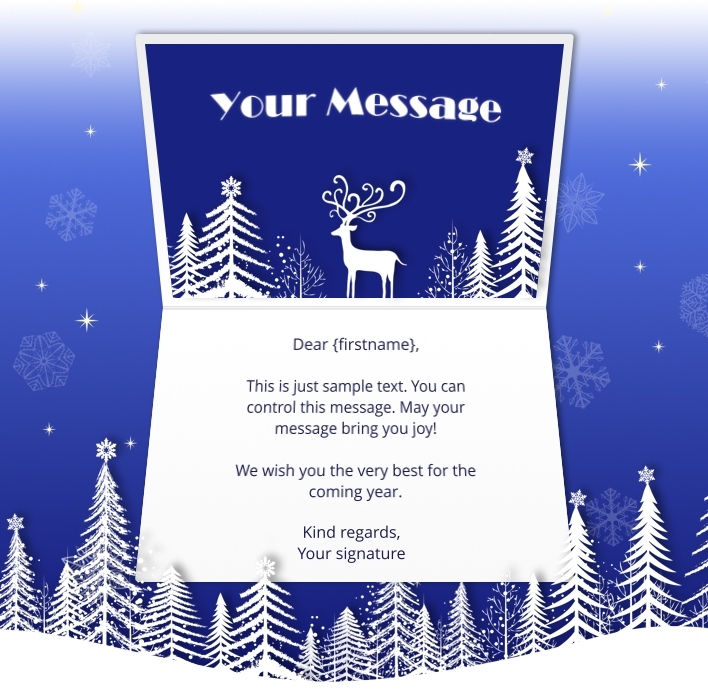 If you need to send your electronic corporate holiday cards using Outlook or email marketing software like MailChimp or Constant Contact – we can help. 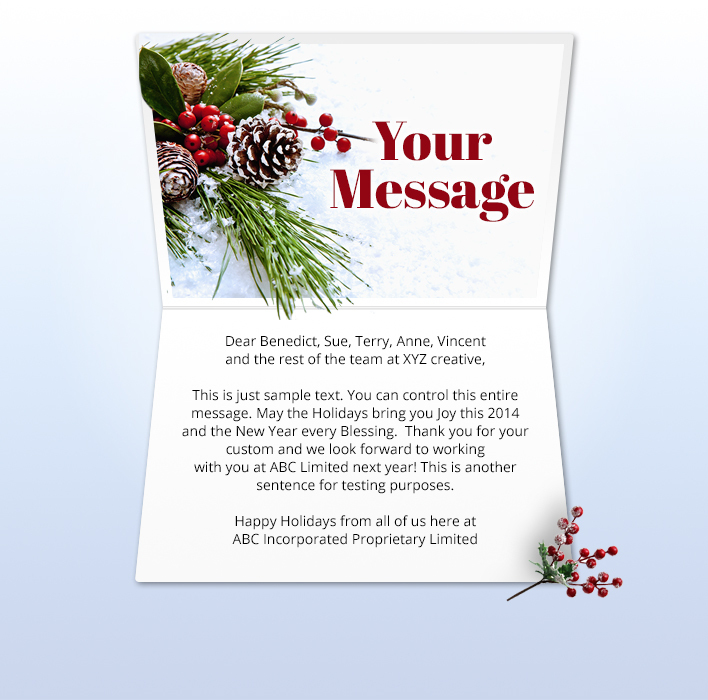 We’ll provide you with everything you need to send out beautiful eCards branded with your company logo and message. 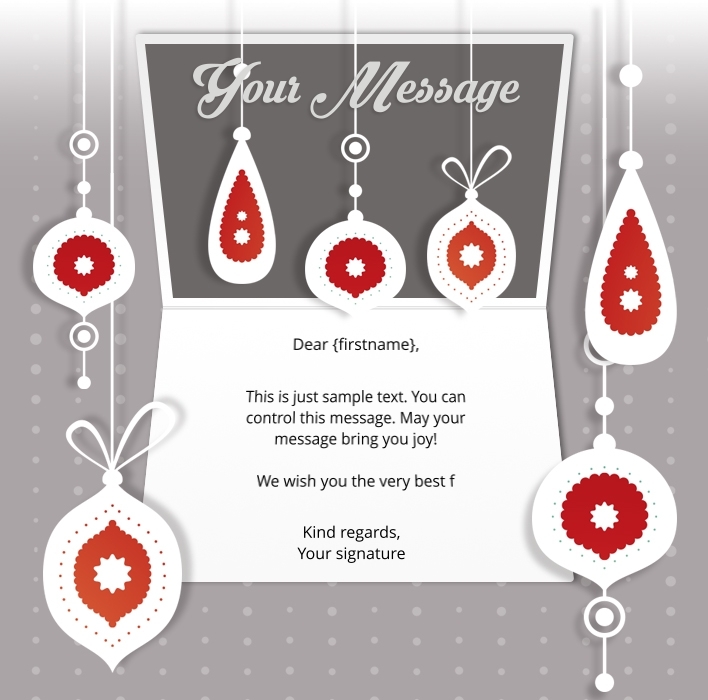 Send Happy Holidays eCards in 42 languages! 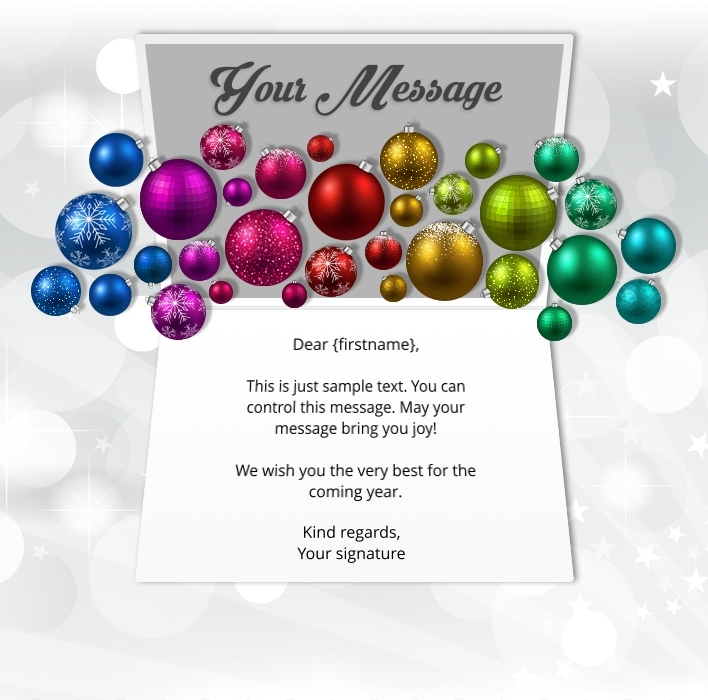 ekarda enables you to send electronic Happy Holidays eCards in multiple languages. 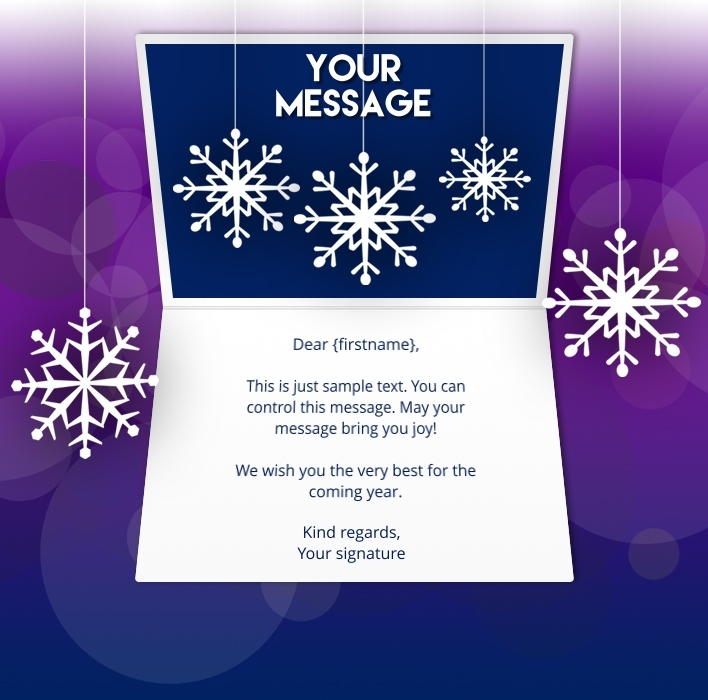 Whether your contacts speak French or Danish or practically any European language – you can be confident that your Holiday eCard will land in your contacts’ inbox in their own language. 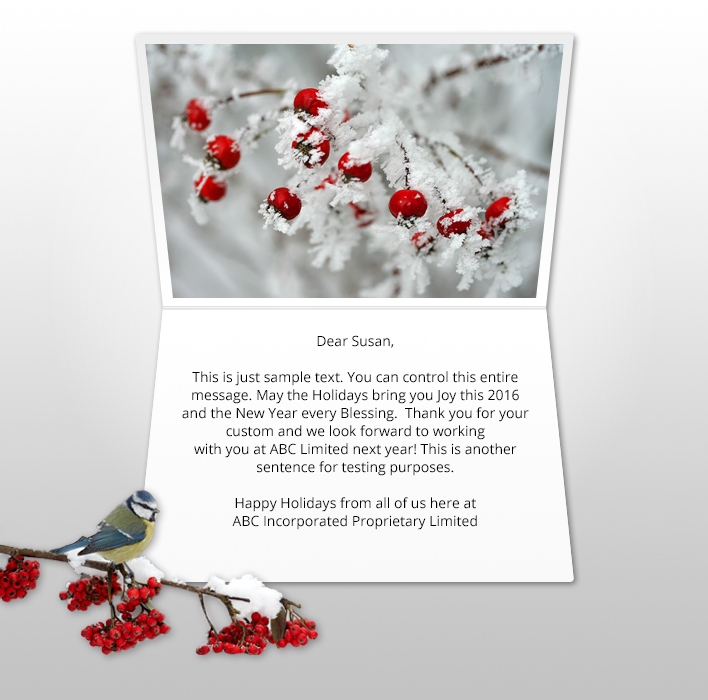 Select a card from the gallery below and have your Happy Holidays eCards ready to be dispatched to your professional contacts in minutes – or have a custom eCard created especially for your brand. Yes! ekarda was specifically designed for this purpose. Some of our customers have over 20,000 staff using ekarda. There are many other options and advantages to ekarda. 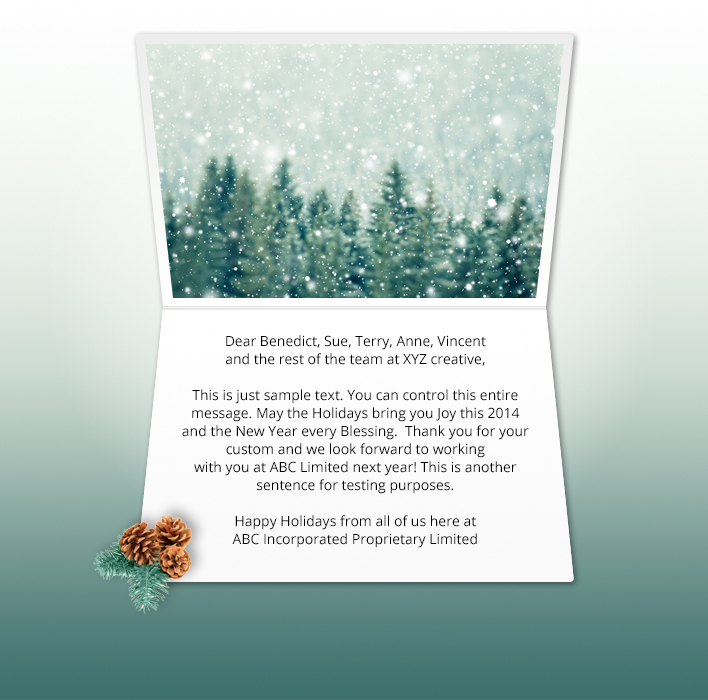 If you have multiple staff who need to send their own holiday eCards – get in touch with us today or read more about ourenterprise services. 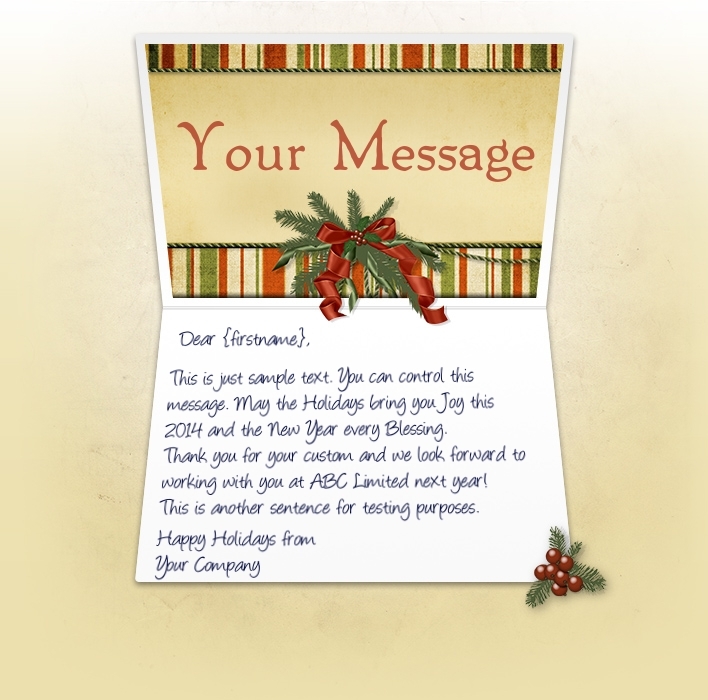 Are your business holiday eCards mobile compatible? 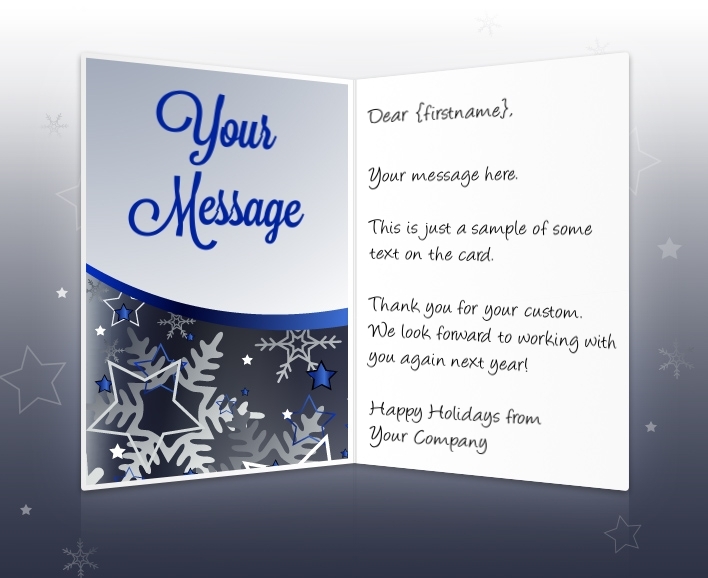 As the modern day digital versions of the traditional hard paper greeting card, our corporate holiday eCards are fully compatible with all devices including smart phones, tablets and hybrid variants. 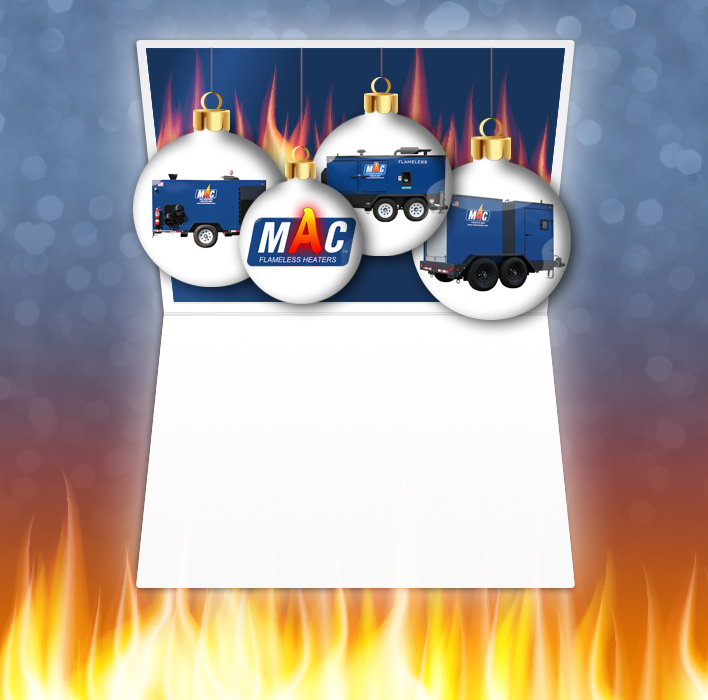 Whether it’s a computer, laptop or iOS / Android device – you can be certain that your eCards will display perfectly every time! Can I add a custom message and my logo? 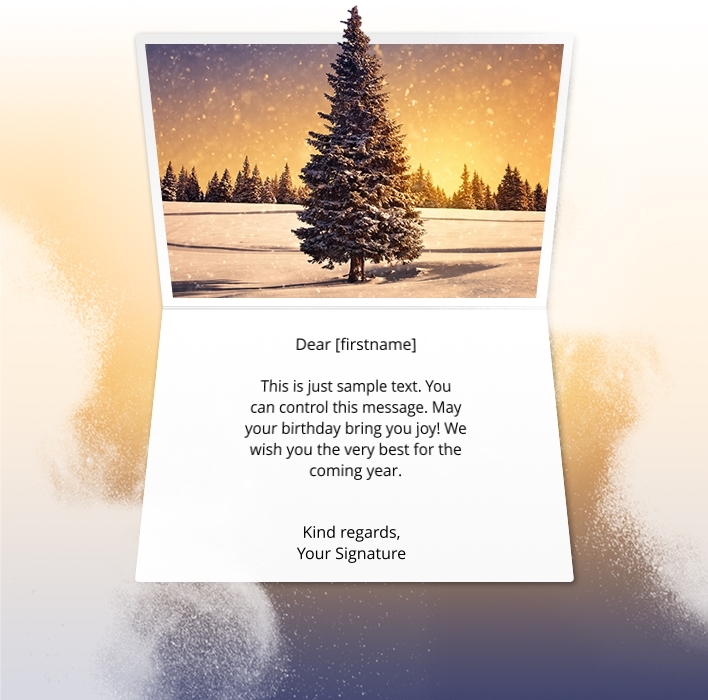 Apart from offering an exhaustive list of eCard templates for you to choose from, you can also customize the entire message on your Holiday eCards – including automatically adding the name of each recipient to your cards (this works like a mail-merge). 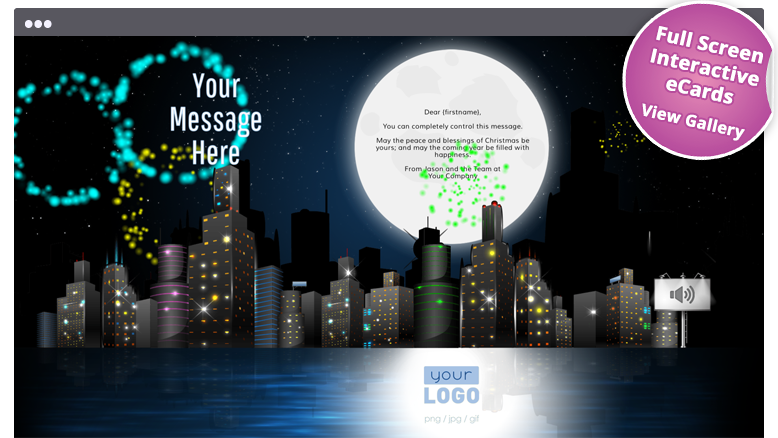 Additionally you can upload your own logo (this can be a gif, jpg or png file). You can even upload multiple logos if you have several brands/business units within your organization. 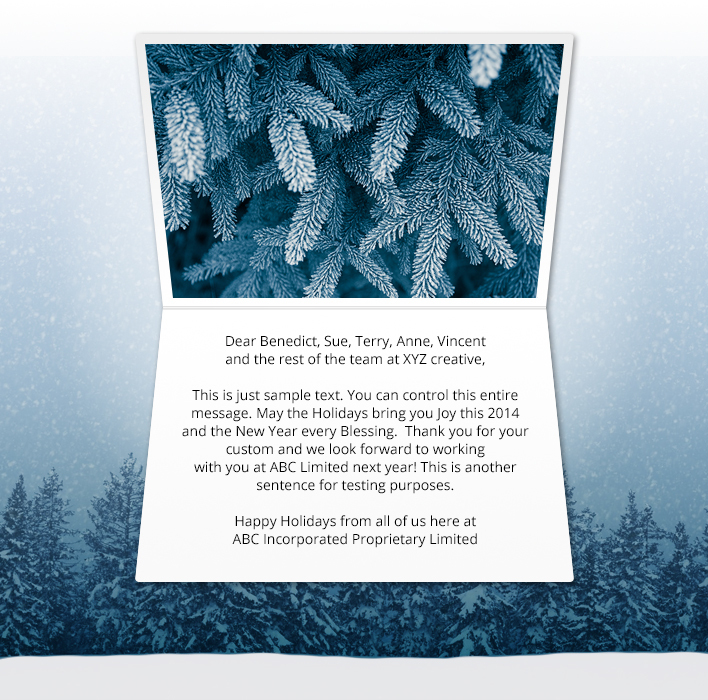 To send your holiday eCards – you need to purchase Credits. 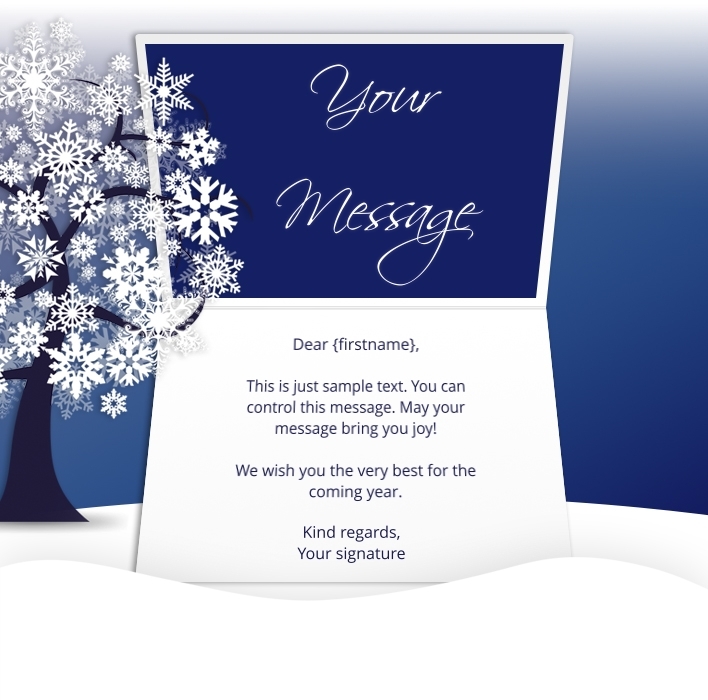 You’ll need one Credit per recipient for our Static cards, and two Credits per recipient for ekarda’s Interactive eCards. Credits can be purchased online and packages start from 10.5 cents each. Check pricing information on our pricing page. 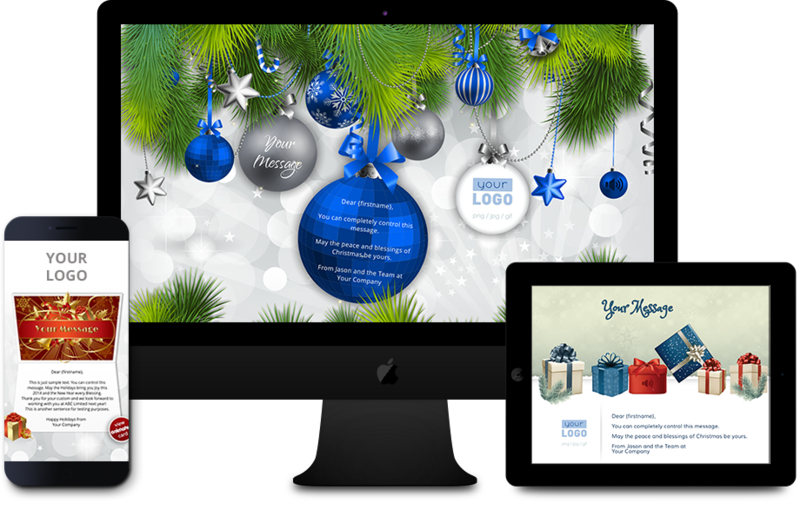 Get started by creating a free trial and get your business holiday eCards ready in advance! 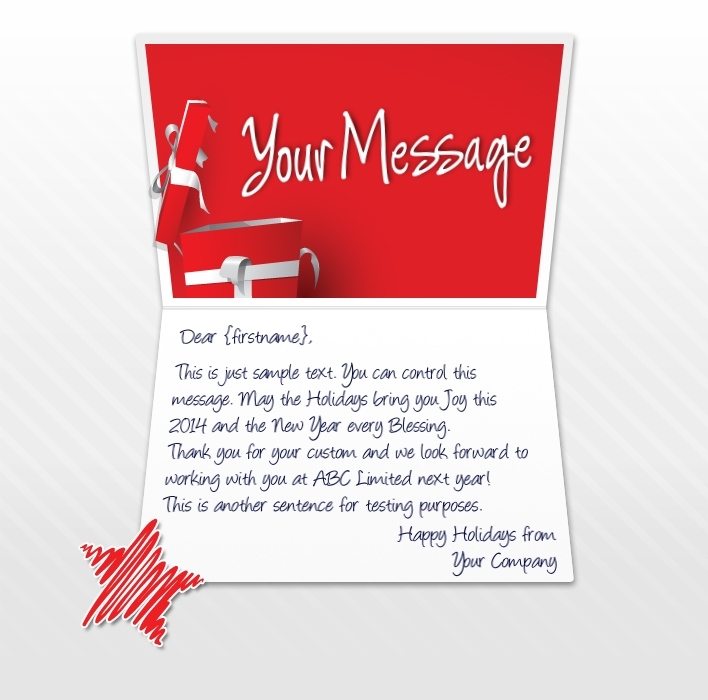 Can I send more than one holiday eCard design? Yes! 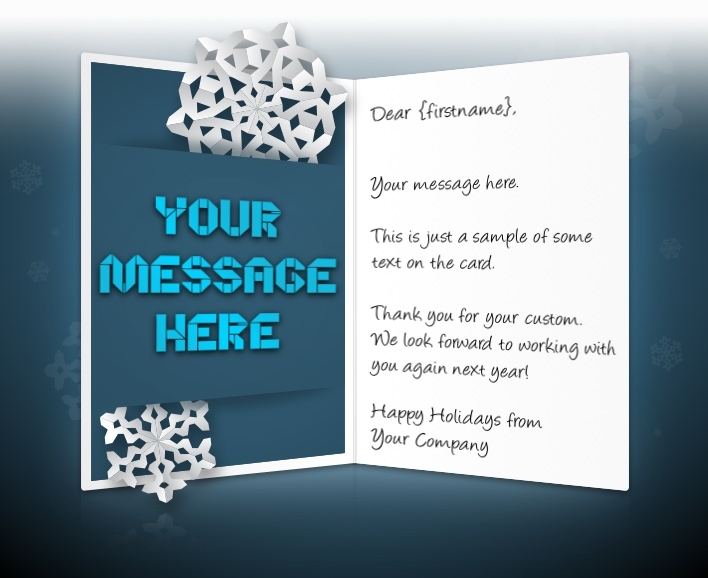 We don’t charge you at all for the designs that you send – so for example if you were to purchase 100 credits – you could send out 100 different card designs at no additional cost! In which format are the eCards sent? 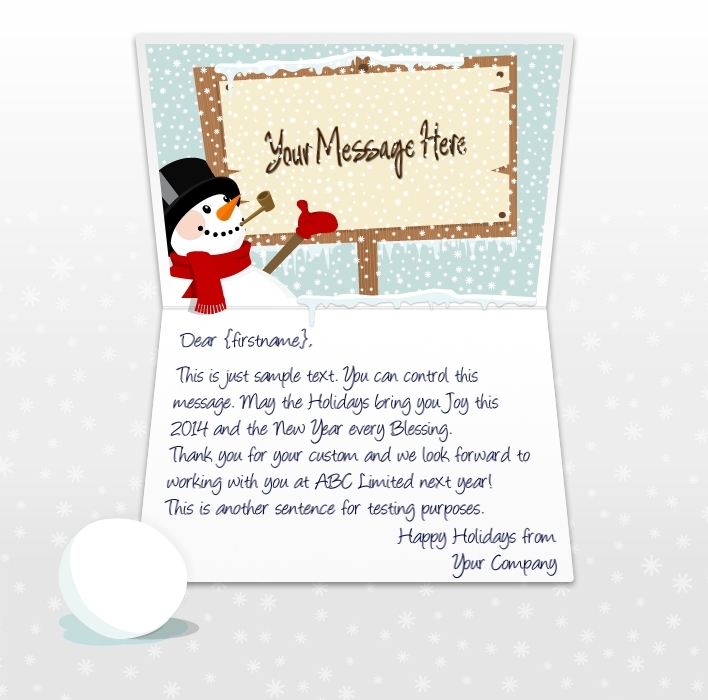 All our holiday eCards cards feature a responsive HTML email, and our Interactive cards also include a full-screen, Interactive and personalized holiday eCard design. 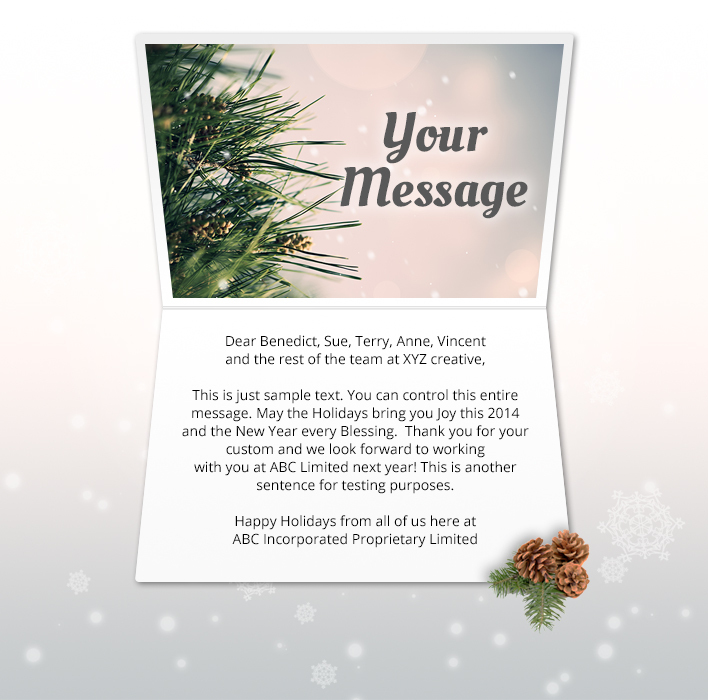 For more information on available designs – check our our holiday eCards gallery and choose the right design for your business today. Can I send the emails out using my own email program rather via ekarda? 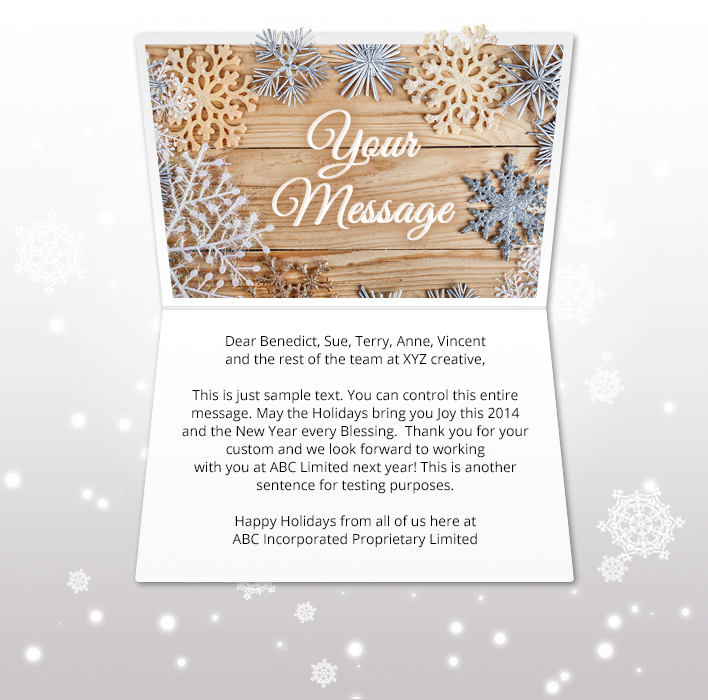 If you need to send your holiday eCards using Outlook or email marketing software like MailChimp or Constant Contact – we can help. 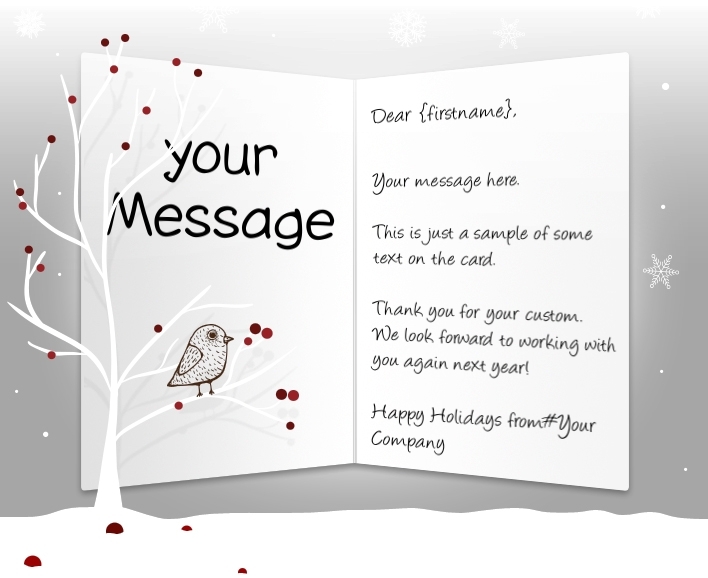 We’ll provide you with everything you need to send out beautiful and custom eCards branded with your company logo and message. 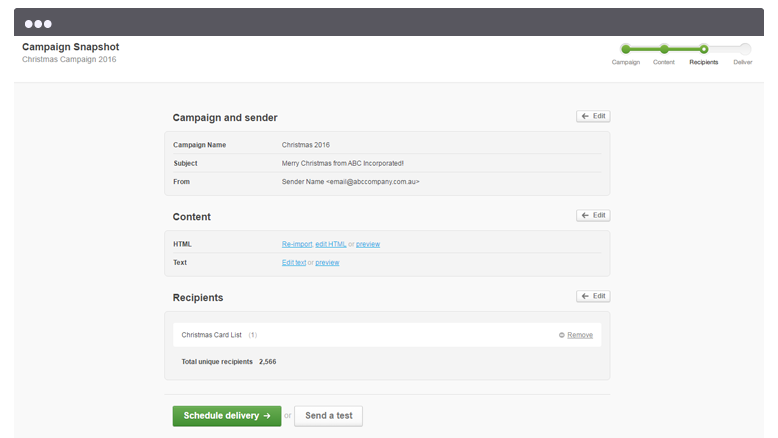 You’ll need to purchase credits according to the number of recipients you want to send to. 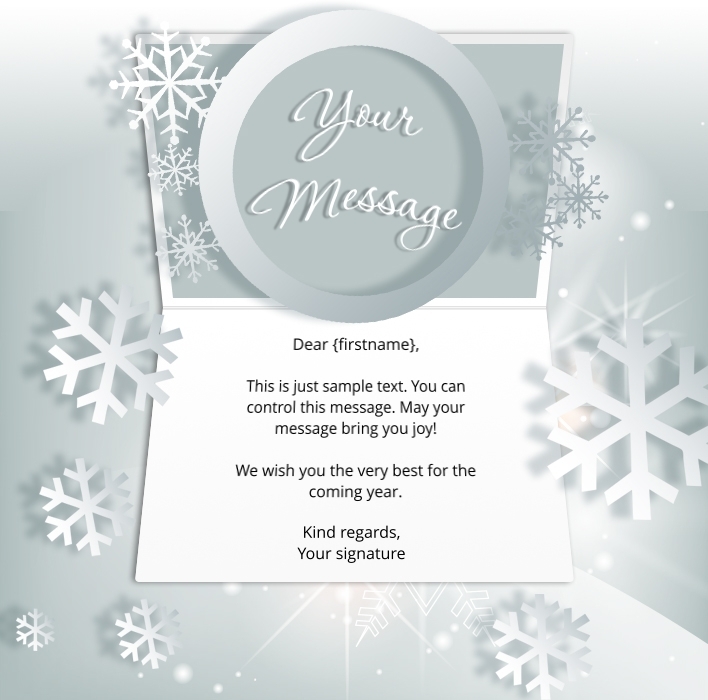 Sending your eCards via ekarda is the recommended option because you’ll be able to personalize your holiday eCards with each recipient’s name and be certain that your cards will arrive looking perfect. 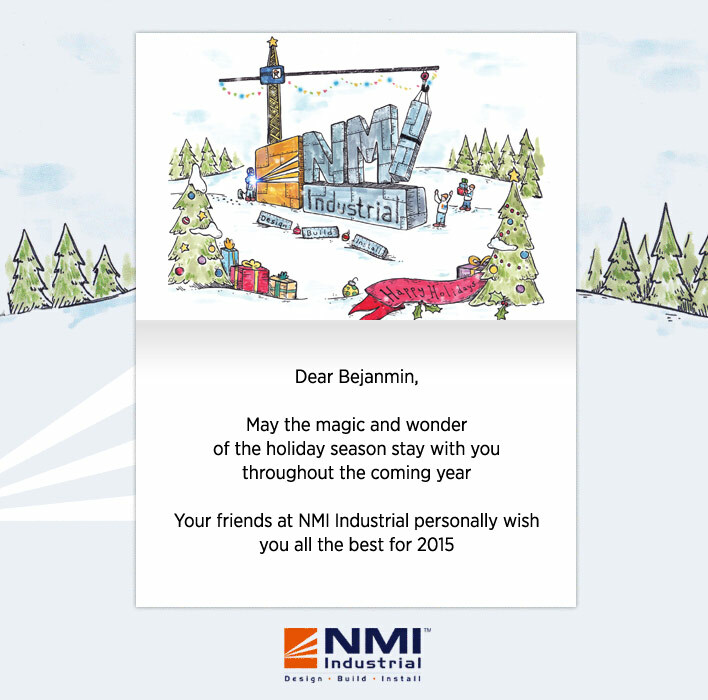 Can you create a custom holiday eCard design exclusively for my company? Yes! 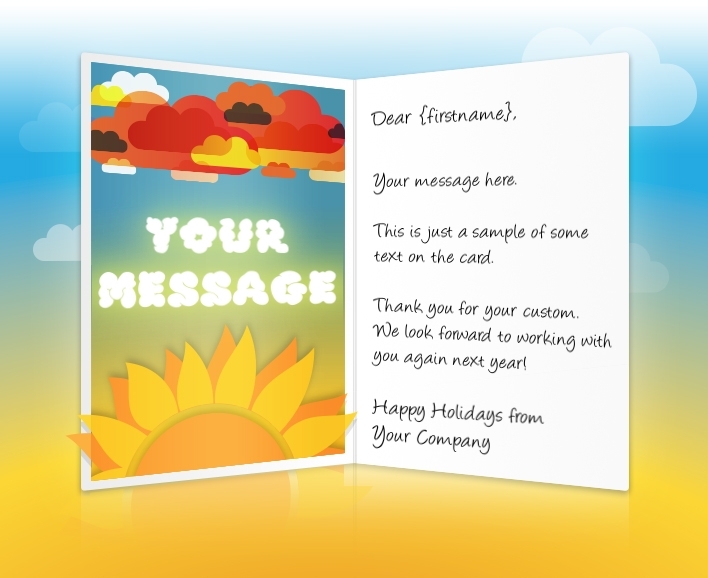 ekarda can create a custom eCard design which includes your corporate images, colors, links and logo. You can choose from Static, Animated GIF and Interactive custom card options. 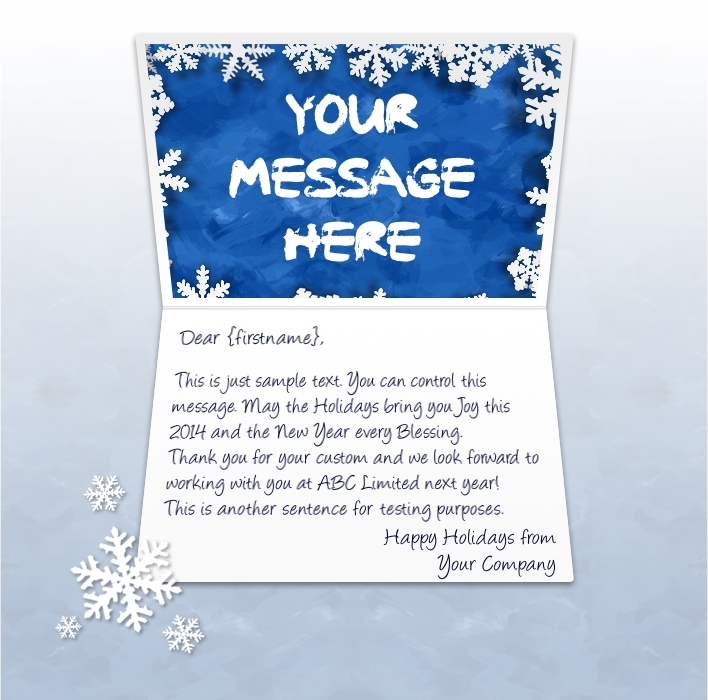 Contact ekarda for more information and pricing and start organizing your custom holiday eCards today. 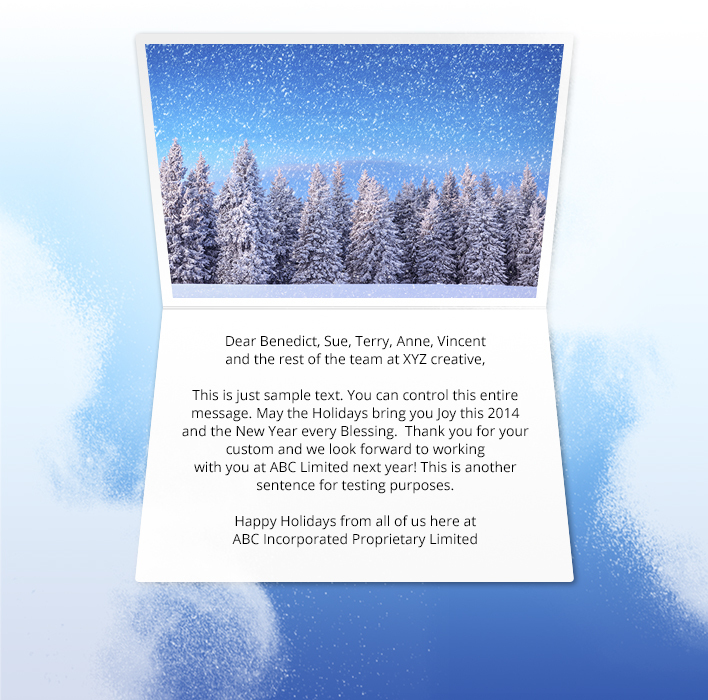 Can I schedule my holiday eCards to send on a specific date/time? Yes! 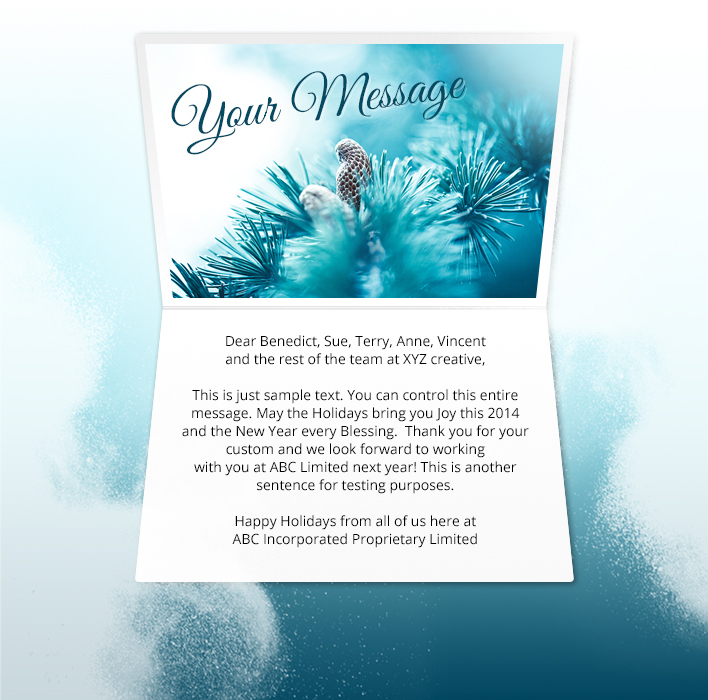 You can choose to schedule your holiday eCard campaigns in advance and be super organised before the holiday season arrives! 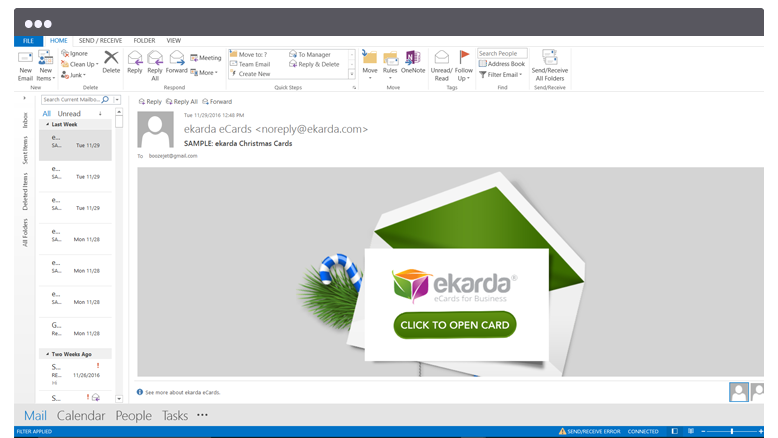 Many companies using ekarda choose this method to avoid the holiday rush and get their eCards out to their business contacts early in December when open rates are far better. 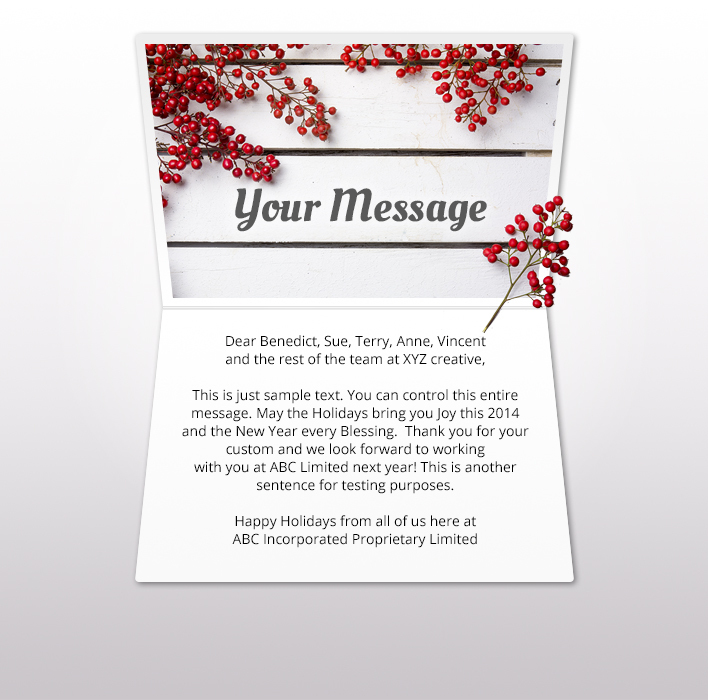 Check out this article on scheduling eCards for more information.